My 1st complete CD "Technopolis Lost" releases October 1st! THE LINK to buy the whole 12 track album, for $8 or individual tracks for $1 each. Available via digital download. Click or copy the following link to you browser. This is a follow up to show the album credits, notes and special thanks to iOS developers of the music applications I used to create “Technopolis Lost” friends, and colleagues. It will be in physical CD inserts, but this isn’t visible when digitally downloaded. Credits. All music created, composed, arranged, and produced by Smite Matter using exclusively the Apple iPod Touch MC008LL, and iPad MB292LL, including music applications designed for iOS. Digital iOS Instrumentation includes Synthesizers, Samplers, Sequencers, Audio Editors, etc. “A warm, special thanks to the following people for their extraordinary support: My wife Tina, Dean DeBenedictis, Lisa Miterer, Lisa Christine Shears, Liz Kempkes, Bruce Gall. Sound Trends, Harmonic Dog, Intermorphic, VirSyn, Beep Street, Blip Interractive, Audanika GmbH, Jordan RUDES, IK Multimedia, Sonosaurus, Limelight Software(4Pockets), Leisuresonic, Green Oak Software, Tempo Rubato, Korg, Wooji Juice, Audioforge Labs, Finger. It’s done! Finally! 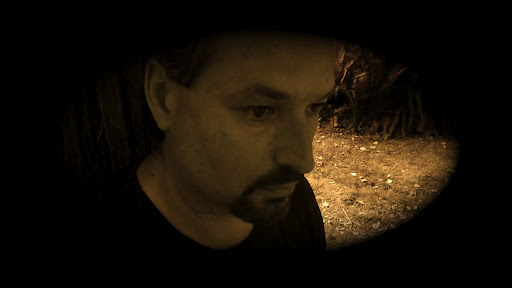 I am so pleased to announce the release of my 1st all iOS created album “Technopolis Lost” is available for digital distribution at $8, on: http://www.cdbaby.com/cd/smitematter Tracks are supposed to be available for individual sale, but CDBaby made a little boo boo and has them all set to “Album Only” even though that box remains unchecked, lol. So they’ll fix that soon. Hard copies are going to be available next in a couple weeks for $12. Its been sent to iTunes, and other online merchants, but those places take a while to get around to making things available. It’ll happen. I’m just happy things are moving in the right direction for once. I thank you for the support, and I hope you enjoy my music. 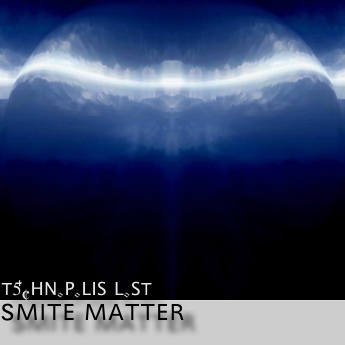 Smite Matter debut album “Technopolis Lost” has been uploaded to CDBaby.com and is being processed by the merchant for online distribution. CDBaby.com will open my Smite Matter artist page with the album details and digital download availability when the process is complete. The notice on CDBaby says this may take 24 hours, but I’m told they often take much longer. Being that this is my very first experience with such things I just don’t know when to expect this to go live? I am however, happy to know it’s there and will be available very soon. In coming weeks physical CDs will be added to be sold as well. Later down the road, CDBaby will distribute digitally to other online merchants like iTunes and Amazon.com etc. Yay! So I can breathe now. Thank you for supporting me, and all the kind emails, tweets, texts, etc. I hope you enjoy Technopolis Lost, it was a long hard road. A real labor of love, growth, and huge education. Its no cliche when I say it involved a lot of blood, sweat and tears. What follows bellow, is the album description notes for anyone interested, or wonder what to expect. Technopolis Lost. A melodic and free journey through audio scenes intended to inspire the imagination while telling a story unique to each individual. Combined inspiration from nature and technology blend seamlessly in a soulful expression to provide a getaway from boundaries and stresses. This is the very first full album of ambient electronic music created entirely on iOS devices. No computers, hardware or dull dark studios. Everything was made using just an iPod touch and an iPad. Often the songs in Technopolis Lost began spontaneously while playing virtual instruments and synthesizer keys all on a tablet’s glass touch screen while in city and state parks, or a forest under a dense canopy of trees. Sometimes capturing the sounds of rain, crowds, or other ambient noise from rural to crowded areas. UPDATE—October 1 2011 My friend and Fateless Music owner Dean, informed me that he ran into a technical problem while uploading my album to CDBaby.com, not their fault of course. He uploaded the wrong file formats on most of the tracks and didn’t get an alert until nearly 600MBs in to the upload. He is doing all this while on the road in New Jersey on a tour. Basically what I’m saying is my album release is delayed a few more days. Since he has all the mastered files (Yes I gave him my originals, stupid I know) we must wait for him to sort out the problem and reupload after the weekend. Sorry for the delay, being a very punctual person myself, it’s difficult to not be frustrated on my end as well. Sh$t happens 🙂 lol, it’s outta my hands. Thank you for being patient. I’m having a hard time being patient. Initially on OCTOBER 1st all 12 tracks of “Technopolis Lost” will be available to purchase via digital download only. Physical CDs will be available not long after. A little further down the road CDBaby will make “Technopolis Lost” available at other online merchants like Amazon and iTunes. Furthermore, after my tiny indie label (1 great guy doing it all) Fateless Music has it’s long idle website rebuilt, “Technopolis Lost” will be available there as well. “Technopolis Lost” is a careful selection of my entirely iOS created ambient electronic music. It’s less about how I created it than it is about what I created. Facing some big technological limitations with my chosen devices for creating, composing, mixing etc (iPad, and iPod Touch), I learned many ways to work around those challenges to achieve a depth and quality many people said couldn’t be done. This album is about overcoming obstacles, breaking boundaries, and ignoring the purists with dead end opinions. I wanted to express my feelings of freedom in each song touching a different note to carry the listener further away from perceptions and preconceived notions of how “it should be done”. I hope by the last track listeners will forget about how what they heard was made, and just enjoy the music I created. This is the cover which is evolving daily. So expect a different variation of this to be the final cover. You can kind of get the impression here, but its not going to be the same as this here to the left. I wanted to also thank certain people. The following will also be included in the CD insert. Many Names are taken directly from their App descriptions in iTunes. So, blame iTunes if anythings amiss 🙂 if there is anything to correct, now is the time to email me and let me know please. ← "My Favorite Must Have iOS Music Apps"
These things happen, mate 🙂 Things so rarely go out on time 😉 Better to take a little more time before and get it done properly than scramble to hit a deadline and get it wrong!Look forward to listening! David the music is great and I'd like to purchase a CD for myself. I can't seem to find where I need to do that. A link to purchase should be the first thing that people see when they visit any of your on-line media. Send me the link where I can buy a copy of your music. Best of luck as you launch your music career.